The two candidates vying to represent the 1st Ward — which lies just west of Sheridan Road and encompasses most on-campus housing — have both said they prioritize frequent communication with residents and the university was essential to their campaign platforms. 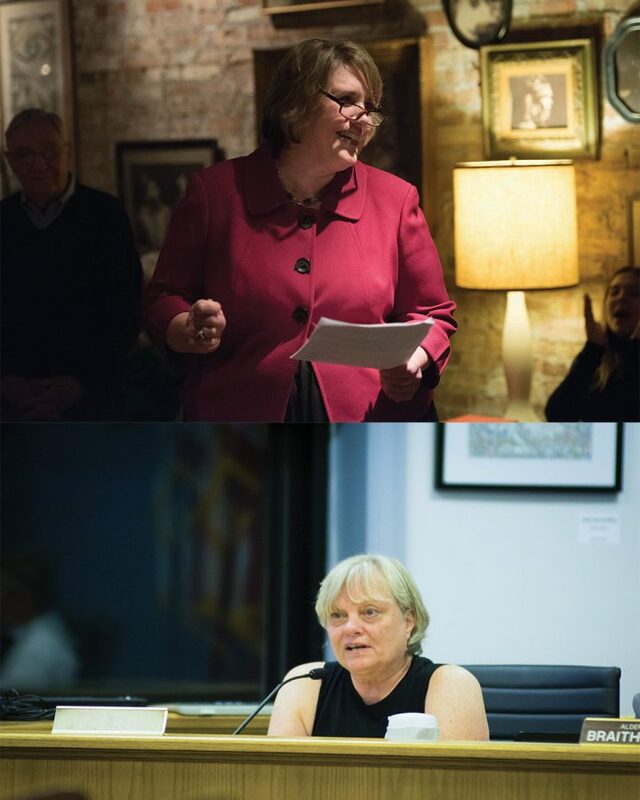 The race pits incumbent Ald. Judy Fiske against challenger Lee Cabot (Kellogg ‘86), who works for a master’s program in the McCormick School of Engineering. Cabot earned 41 votes, just two more votes than Fiske in a poll conducted by the Democratic Party of Evanston Sunday of its members to gauge support for the candidates. Fiske and Cabot both said they are prioritizing responsible economic development for their ward as the key for addressing the area’s other problems. The 1st Ward includes most of downtown Evanston and extends along the lake to cover a significant portion of Northwestern’s on-campus student housing, while most property east of Sheridan Road is in the 7th Ward. Cabot said fully-funded schools were essential to the city. The longtime 1st Ward resident said she supports the District 65 property tax referendum, which will appear on the April municipal ballot and raise the tax levy by $450 annually per property owner to account for a growing deficit in D65. However, Cabot said she would look at ways to ease the tax burden on low-income residents or spread it across more residents if elected. Fiske said during her eight years as alderman, she has put economic development issues first. Rather than pushing for more development, Fiske said she tries to accommodate the neighborhood residents and developers to create a project that fits everyone’s needs. A helpful way to do this is frequent communication, Fiske said. Fiske said she has also made communication with ward residents a priority over her term. Government works better when more people are involved, Fiske said. “You can’t do anything in this town by yourself, and I wouldn’t want to,” she said. However, Cabot said she would want to increase the communication between residents and their elected official if chosen. Cabot said she would do so with more frequent newsletters and ward meetings. People are often “surprised” by changes such as property development in the ward, she said. Cabot said frequent communication between the city and Northwestern would help improve relations and that the University should lend its expertise to Evanston when needed. Fiske has criticized Cabot for being a Northwestern employee, saying it made her unable to properly serve 1st Ward residents on matters dealing with the University. Cabot said she is “not at all worried” that she will be compromised in making decisions regarding Northwestern, as she said her job is “removed” from the policy sector of the University. Rather, Cabot said her connection to the University would “enhance” her abilities as alderman. Both Cabot and Fiske said they wanted to serve on the council to serve their community. Fiske emphasized the importance of including Northwestern students in the conversation. Citing concerns with the design of the bike lanes on Sheridan Road, Fiske said she has tried to include students’ perspectives. Cabot echoed Fiske’s sentiments, saying she wanted to improve the experience of living in the 1st Ward and the entire city. “I want to be a responsive, highly communicative and inclusive representative of everyone in the 1st Ward,” she said. The race between Cabot and Fiske will be decided on April 4. This article was updated to clarify the extent to which the 1st Ward encompasses Northwestern’s campus. It has been updated to reflect that the ward covers most of campus to the west of Sheridan Road.